Porter Wright names John Monica partner in charge in D.C.
Porter Wright is pleased to announce that John Monica has been appointed partner in charge of the firm's Washington, D.C. office. Monica succeeds Richard McHugh, who has led the D.C. office since November 2012. Monica joined Porter Wright in January 2001 and works in the firm's Litigation Department advising clients in complex litigation, particularly on antitrust, commercial and product liability matters. He also is recognized as a leading national authority on nanotechnology issues. As the new partner in charge, Monica will continue to build on the capabilities of the firm's D.C. office, working closely with Porter Wright's offices in Ohio and Florida to provide seamless service to clients. 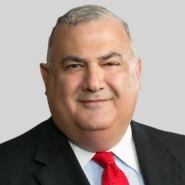 "We are all excited that John will be taking on this important task to oversee our Washington Office," said Managing Partner Robert Tannous. "I am confident that he will provide great leadership, and I appreciate his willingness to take on this role in light of his very demanding legal practice." McHugh will continue his active practice as a partner in the D.C. office, advising clients in all areas of employee benefits law, including qualified and non-qualified retirement plans, ESOPs and health and welfare benefit plans. "I want to thank Rich for his leadership for the past several years in his role as the partner in charge in Washington. I know that Rich will continue to work with and support John in his new role," Tannous said.